Those numbers are deeply troubling. What is also troubling is the possibility that, despite the state’s persistent poverty, California may allow a proven resource for strengthening its underserved communities to die. The California Organized Investment Network CDFI Tax Credit Program (known as the COIN Program) was launched in 1996 as a public-private partnership involving the California Department of Insurance, the insurance industry, and Community Development Financial Institutions (CDFIs). 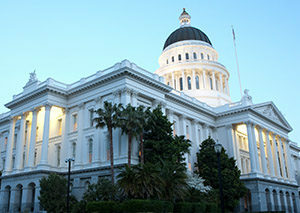 Led by Assemblymember Anna Caballero, California policymakers have the opportunity to extend the important COIN program through 2022. 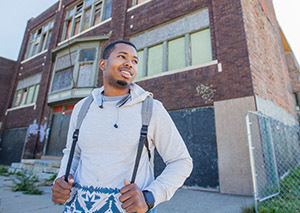 Its purpose is to generate economic opportunity in California’s low-income urban and rural communities by providing a tax credit to insurance companies that make investments in CDFIs—specialized financial institutions that deliver loans, investments, financial services, and technical assistance to underserved populations. From 1997-2016, the COIN Program has generated more than $335 million in community development investments that have supported small businesses, created jobs, improved access to quality health care, built affordable housing, improved healthy food access, and funded green projects—all in low-income communities. Nevertheless, the future of the COIN Program is in doubt. Last year, Gov. Brown vetoed AB 2728, which would have extended the program for one year. He indicated that an extension would need to be handled through the budget process. Since then, a new bill—AB 778—has been introduced by Assemblymember Anna Caballero to extend the COIN Program until January 1, 2022. AB 778 has received strong, bipartisan support in the Legislature, as well as from the insurance industry and the CDFI industry. However, if the COIN Program is to survive, it must be included in the 2017-2018 budget. As a CDFI that has invested more than $860 million in community development projects across California, we strongly support the COIN extension because we have seen firsthand just how vital the COIN Program has been to CDFIs and the low-income communities they serve. Thanks to the COIN Program, our organization has been able to provide flexible, affordable loans to support the many community health centers throughout the state. Support from the COIN Program has allowed CDFI’s to provide much needed financing to community health centers throughout California. 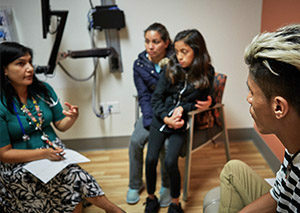 Our projects have included a $2.2 million loan that enabled Community Health Centers of the Central Coast to expand patient services at its Santa Maria clinic, which is the primary source of health care for low-wage farm workers in the area, as well as $3.7 million in financing that helped Northeast Community Clinics renovate a new clinic—and triple its capacity—in south Los Angeles. Capital Impact Partners is just one of many CDFIs that have put the COIN Program to work in California. The Rural Community Assistance Corporation, for example, has used investments made through the COIN Program to fund a variety of rural infrastructure projects, such as the replacement of an antiquated, arsenic-contaminated water system in Shasta County. The Corporation for Supportive Housing has used the COIN Program to fund a variety of affordable housing developments, including the rehabilitation of a large 154-unit complex for seniors and aging individuals called San Diego Square. The COIN Program facilitates the financing of a variety of projects that support healthy communities including mobile farmers markets. The COIN Program also has helped the micro-lender Opportunity Fund grow its loan portfolio and finance small businesses such as La Placita Commercial Kitchen, a provider of fresh, healthy food to mobile vendors that serve low- and moderate-income communities in Oakland. These projects—and countless others—would not have been possible without the COIN Program. It is an invaluable resource that CDFIs—and the people of California—cannot afford to lose. Indeed, at a time when federal financing programs for CDFIs are in the Trump Administration’s crosshairs, the COIN Program is more important than ever. Without the COIN Program, California’s low-income communities will be deprived of new businesses, new health care centers and schools, new grocery stores, and new affordable housing. That is why Capital Impact Partners is leading a statewide effort to extend the COIN Program. To date, nearly 40 CDFIs and community development organizations have joined us in signing a letter calling on the California State Legislature to ensure that funding for the extension of the COIN Program is included in the 2017-2018 budget. Now it is up to the Legislature to act. The budget is set to be approved on June 15, 2017, and we urge legislators to include an extension of the COIN Program in the budget so that the COIN Program and CDFIs across California can continue creating economic opportunity in places where opportunity is needed most. We urge legislators—and all Californians—to stand up for the COIN Program and for the nearly eight million people in California who continue to live in poverty.